Coconut oil has taken the country by storm - and for good reason. Coconut oil delivers naturally occurring fatty acids and medium chain fatty acids (triglycerides) that quickly metabolize for an energy boost. 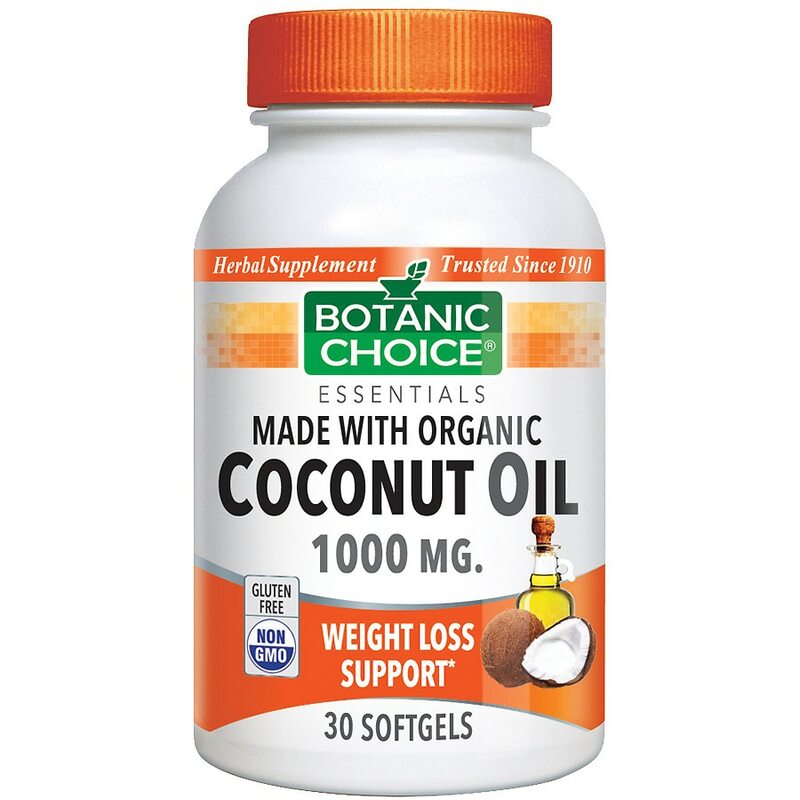 Made with organic coconut oil, Botanic's Choice Coconut Oil supplement is a great way to promote good health and vitality. Each Coconut Oil softgel typically contains these fatty acids: lauric acid, myristic acid, caprylic acid, palmitic acid, oleic acid, capric acid, stearic acid, linoleic acid. When it comes to coconut oil, quality counts: Since coconut oil supplements have become so popular, there's no shortage on store shelves. But if you're going to take it, make sure it is high quality and from organic sources like Botanic Choice Coconut Oil softgels. Our 1000 mg Organic Coconut Oil softgels are free of milk, egg, fish, crustacean shellfish, wheat, peanuts and soybeans. See how great you can feel with our easy-to-swallow softgels. Use in conjunction with a reduced calorie diet & exercise plan. Take 1 softgel twice daily, preferably with meals, as a dietary supplement, or as directed by a physician. © 2012 Indiana Botanic Gardens, Inc.